James van Riemsdyk will happily tell you that losing a bet, one that had him dressing up in hockey gear to do his Christmas shopping, certainly wasn’t the worst thing he’s had to do in his life. 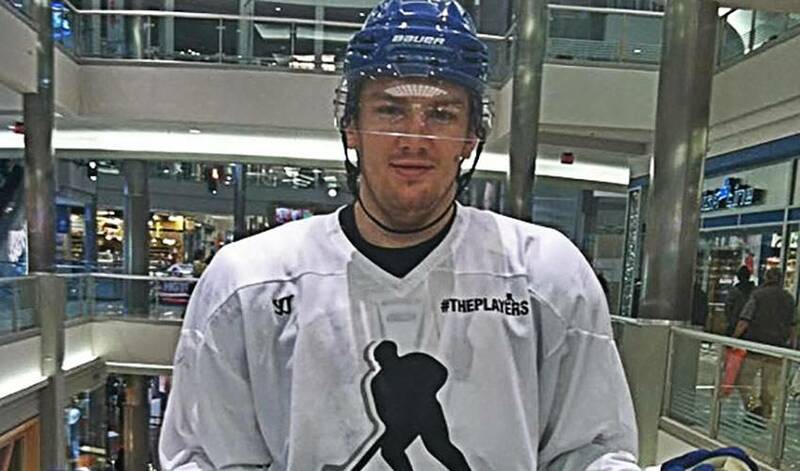 On December 19, the strapping forward, traded from Philadelphia to Toronto this past June, kept up his end of the bargain while looking for bargains at Minnesota’s monster-sized Mall of America, donning all his hockey equipment, with the exception of skates, after losing a wager to former teammate Scott Hartnell. The Maple Leaf left-winger was one of the players who helped organize a charity hockey game for victims of Hurricane Sandy. From there, van Riemsdyk and Hartnell joined forces for the ‘Power of 2’ campaign, which saw both go head-to-head in an effort to raise money for Hurricane Sandy Relief in the states of New Jersey and New York. In the end, Hartnell reigned victorious, raising nearly $23,000 to van Riemsdyk’s $17,000-plus. No matter, admitted a gracious van Riemsdyk. As for the actual shopping experience itself, van Riemsdyk said it wasn’t as awkward as it could have been. At least van Riemsdyk got a kick out of the stares he received throughout his excursion. Meanwhile, Hartnell is continuing to revel in his victory. When he had more time to chat, Hartnell spoke about how thrilled he was to see his friend follow through on their bet. Hartnell did, however, make sure van Riemsdyk made one stop in particular during his Mall of America experience. van Riemsdyk managed to make it through his ordeal unscathed. Just don’t expect van Riemsdyk to don the same outfit for any New Year’s Eve festivities. On that day, all bets are off.